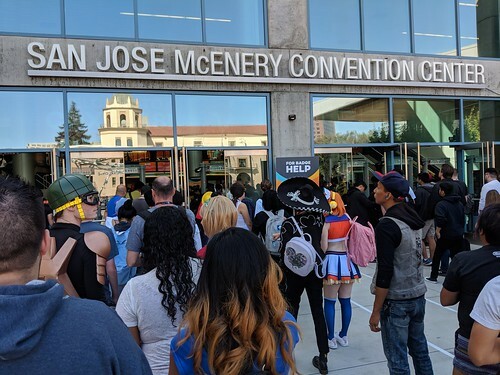 San Jose | Topic "Otaku"
FanimeCon 2018 took place May 25th – 28th at the San Jose McEnery Convention Center. 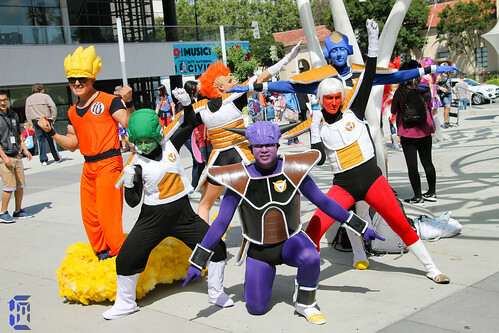 FanimeCon is an anime convention “by fans, for fans”. 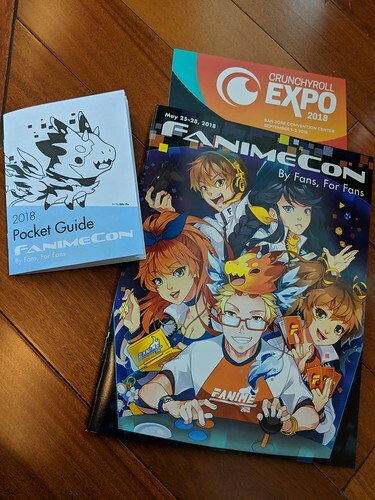 I’ve been attending this anime convention since 2011, and I do intend to attend it annually as long as I’m able to, as it is one of my favorite cons around. 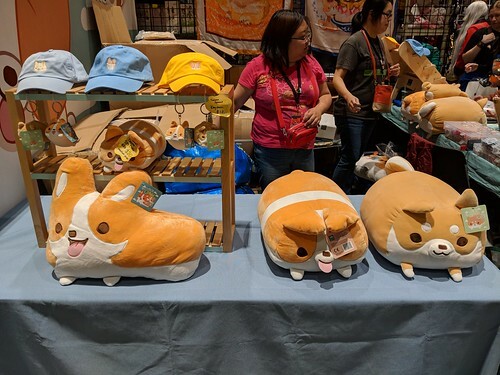 This year’s con was smooth, but for me I have mixed feelings. Partly because of a few minor hickups, but mostly because of the expectations I have on myself for what my goals are at cons, photography wise. 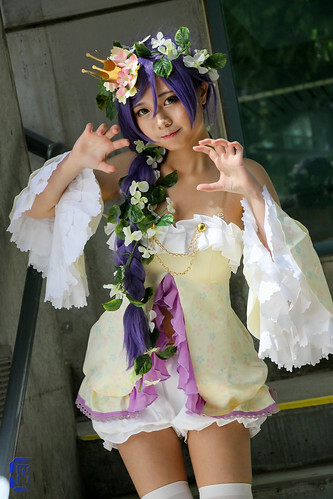 For all of my photos taken at the con, please check out my Flickr set FanimeCon 2018. My first day started with me waking up at around 7am, a time I’ve been used to waking up to recently with the return of my seasonal retail work. I aimed to get to the con by 10am, and since it takes about an hour to drive down to San Jose I planned to leave SF no later than 9am. My plan for parking today was to try for the convention center’s garage. As I wasn’t sure about how full it was going to be, I asked about the situation there via Facebook, to which I got no direct reply. I ate a quick breakfast of leftovers before leaving for the con. 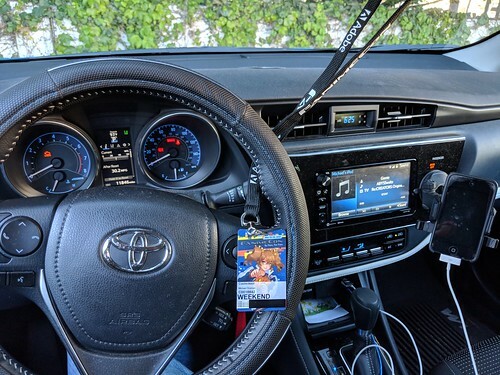 Upon arriving at the con at around 10am, I found that there was plenty of parking in its garage and got a space relatively close to the doors leading into the main hall. The reason why I choose to park at the con center rather than anywhere else was because it was going to be just as expensive, if not more at the other parking places in the area, mainly because it was a weekday. 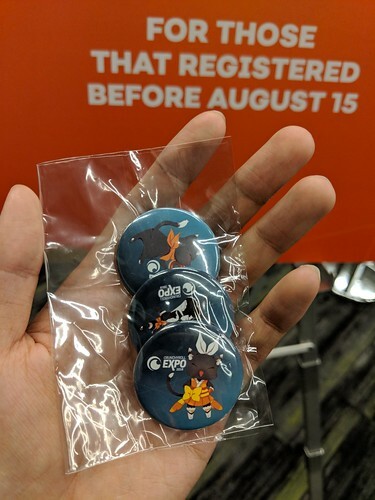 I was able to pick up my badge in record time; from entering the convention center from the garage to having my badge in hand took less than 2 minutes. 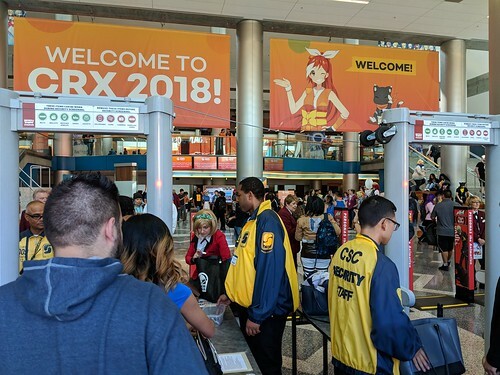 If I only counted the time from entering the pre-reg badge pickup line to badge pickup, then it took less than half that time. 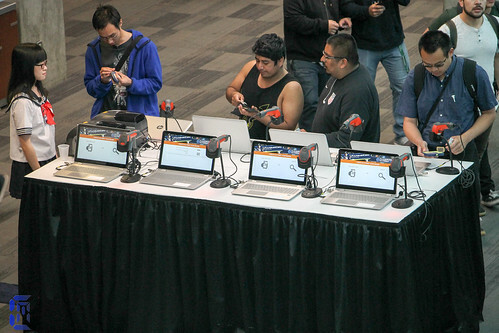 They were using the same system from last year, which is why linecon is dead at FanimeCon. As usual, my next event I was planning to head to was Opening Ceremonies, however that was more than 3 1/2 hours away at 2pm. I decided it was a good time to get acquainted with the whole con area in the meanwhile. Because things don’t change that much layout wise year to year, it didn’t take much to find out and see what was where this year. Most of where I was planning to be was all in close proximity, literally spinning in circles. 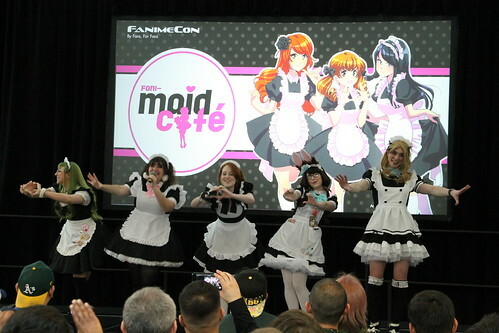 Opening Ceremonies started a little late and kicked off the FanimeCon weekend by introducing the Guests of Honor, Black and White Ball, and Fanimaid. After the ceremony concluded, I checked out the Dealer’s Hall. 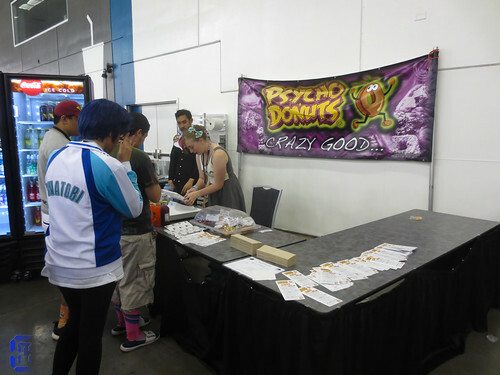 Besides the usual vendors of anime merchandise, towards the back were some food vendors. 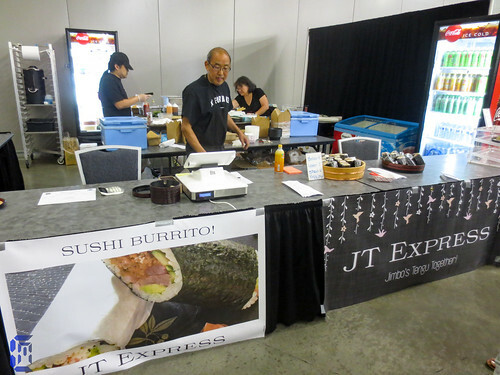 We had Hirotoko Co., a Takoyaki stand; JT Express, known for their Sushi Burritos and Spam Musubi; and Psycho Donuts, a local specialty donuts shop know for their unique bakery bites, which I heard that their closest location to the con closed down for relocation. For the rest of the afternoon, I took photos of whatever looked interesting. 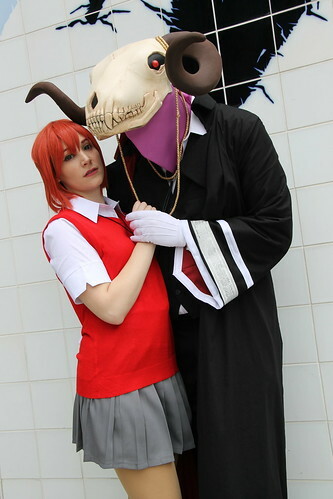 My criteria and priority for cosplay shots are usually ones that I have not generally shot before, especially unique ones. 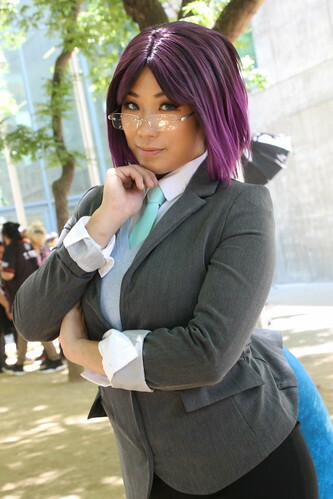 Meme cosplay are a particular one I definitely go out of my to shoot because they tend to be easier to shoot because people tend to gravitate towards high quality cosplay which makes those cosplayers harder to deal with in my opinion. Most of the day I was either scouting around for photo taking, or taking a break at the anime viewing rooms. It rained a little in the afternoon, which dampened the crowds a bit. I left the con at around 6:30pm to get home and rest for the next day, knowing that it will be much more busier. 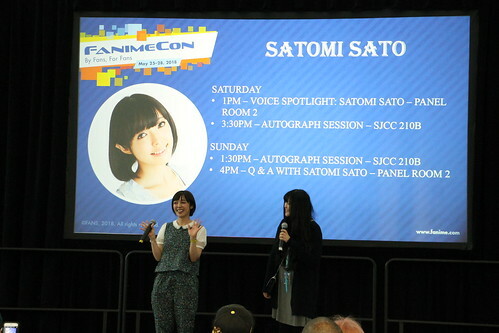 I arrived back at the con area at around 10am. The plan for parking was to park at a garage located at the Peggy Sue’s Diner, as they had free parking with validation during the weekend. 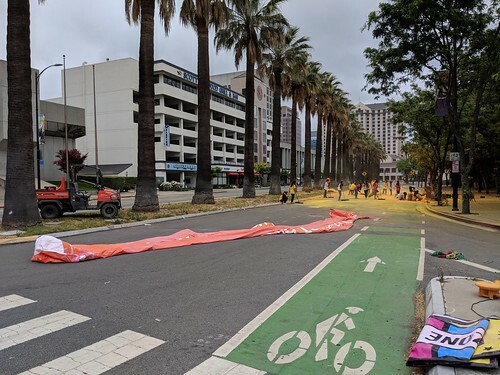 However, the garage was blocked by The Color Run, a running event that took place that morning. They were already cleaning up but the road would not open anytime soon. I ended up parking at another garage nearby that I was familiar with, but at a cost of $8 for the day. 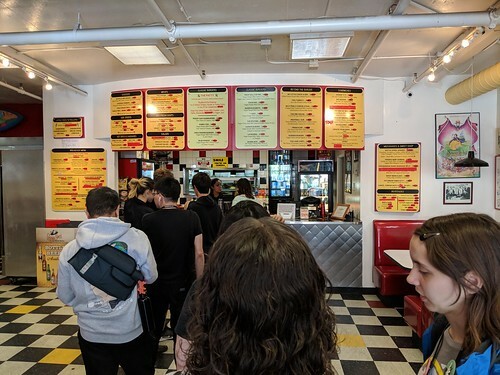 I ate breakfast at Peggy Sue’s Diner and afterwards headed to the con. The weather was perfect today, in comparison to yesterday’s grey and random rain; Not too hot or cold with mostly clear skies. I planned to check out a couple of things today like the Overwatch cosplay gathering, as well as the MusicFest Concert that was at 7pm staring Nano. 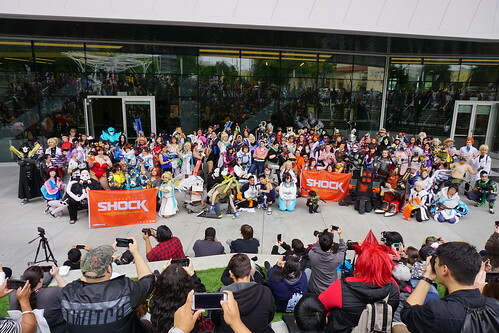 Shooting the Overwatch cosplay gathering was much easier than last year’s ones for a couple reasons: For one it was smaller as the hype was not as big as it was during last year’s first year one, so the group was more manageable. Secondly, the group was being managed by a couple staff photographers which were calling the shots for the gathering, basically making sure that they were not too wide, minimizing background elements, etc. 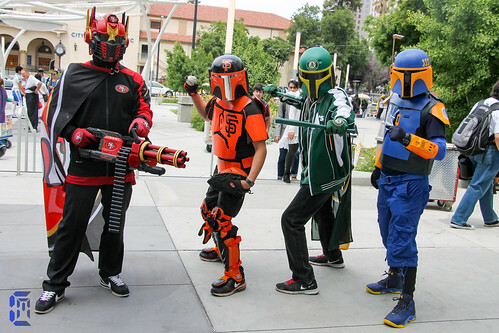 Luckily I was standing right next to them, so I benefited for my photo taking purposes. 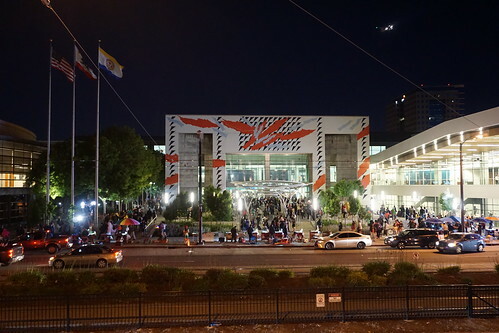 At about 10 minutes before 7pm, I headed to the City National Civic right across the street from the con for the concert, just after dropping off my DSLR camera at my car, due to the usual strict photography policies the venue usually has. As usual most people were seated, but there’s plenty of seats to go around at this auditorium. Seating started at 6:30pm, but some people wait as early as a few hours before then. 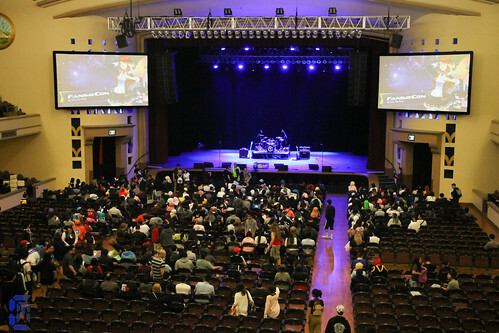 I suppose if you wanted to get the front rows, that’s the way to go, but there hasn’t been a musical guest at Fanime that made me justify waiting for a ground level seat. Originally there was going to be another musical performer named Yuyoyuppe at MusicFest, but due to unforeseen circumstances he couldn’t make it. 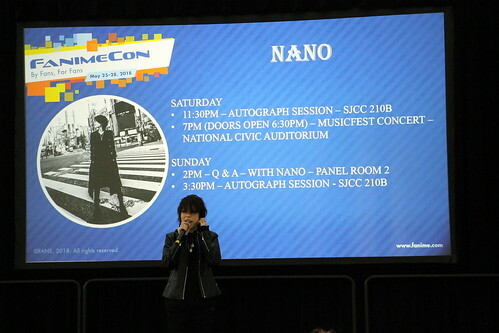 The Nano concert started on time and last almost a full two hours, with an encore included. It was a really great experience being there; She had a lot of energy and was super grateful for being able to perform in her country of birth for the first time. I have some of her songs on my iPod, so I was looking forward to hearing her live. I was tapping my foot and nodding my head to most of her songs which had a great rocking beat. I also love the lyrics she uses, which are a mix of English and Japanese. They tended to relay the message of always try to strive for your dreams, the same for how she feels how she made it to where she is today. There was one song in particular that I was hoping to hear that I originally heard through an fan made Overwatch anime style opening, but I don’t think it was part of her set list. After the concert was over, I headed home once I confirmed that there was nothing left for me to do at the con, arriving back at base at about 10:30pm. Day 3 started almost like yesterday, but without the problem of parking. I was able to park at the garage that allowed for free weekend parking with validation, ate at the busy Peggy Sue’s again, and afterwards headed back to the con for another round of photography. 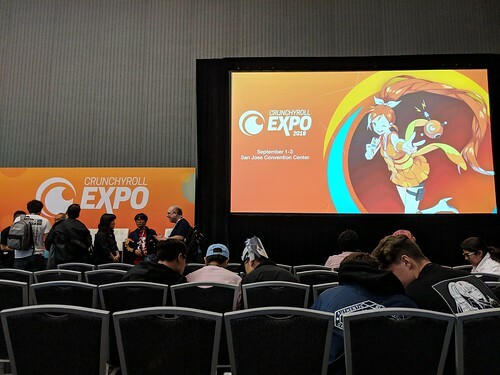 The weather on this day was notably starting to get warmer than comfortable, so to escape the heat it was an in-and-out of the convention center kind of plan, chilling every so often in the anime viewing rooms. 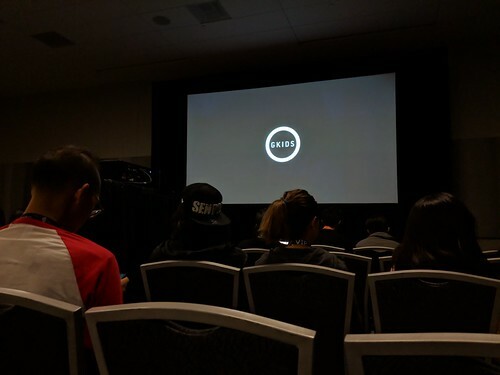 Doing so was great because I was able to take a load off and sit down in a cool place watching animes, but it definitely a struggle for my eyes adjusting from pitch black to full sunlight in a matter of a minute. 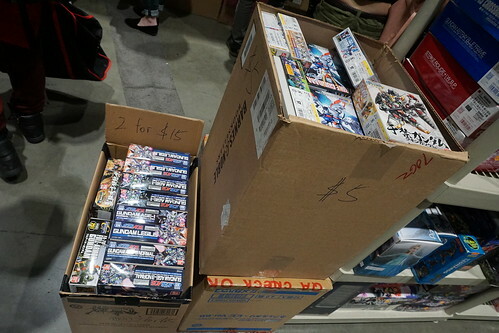 By 7:30pm I called it for the day, and went home to rest for the final day of Fanime. 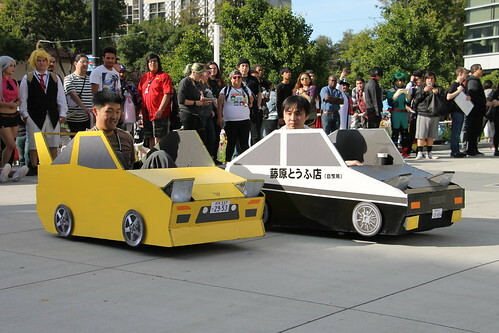 When I woke up morning of Day 4, I saw a post from someone on the FanimeCon (Unofficial Fan Group) Facebook page asking for a ride back from the con to SF. I, a willing member, decided to respond to said post saying that I can help them out. No immediate response, so I headed out. 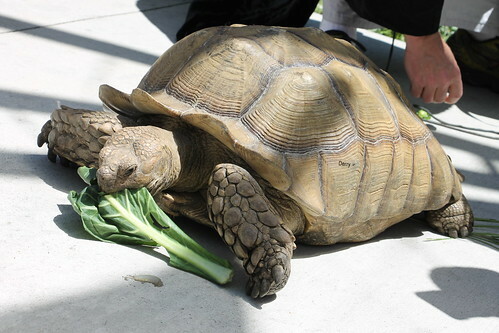 The plan for the morning was to fill up on gas at Costco before heading to the con. However I forgot that they were closed due to the Memorial Day holiday, which meant that I had to go to a local station to partially fill up on more expensive gas. I arrived at the San Jose Convention Center about a quarter before 10am, and parked at the neighboring Almaden/Woz Lot. 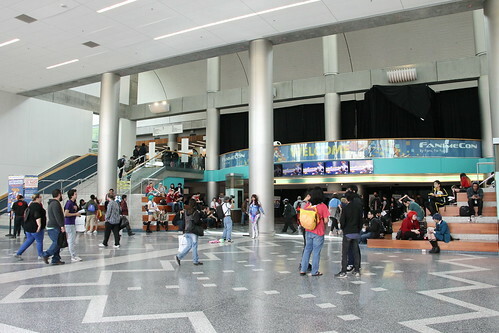 Upon arrival to the front of the con, the area was mostly dead with activity, though there was still plenty of photographers around. 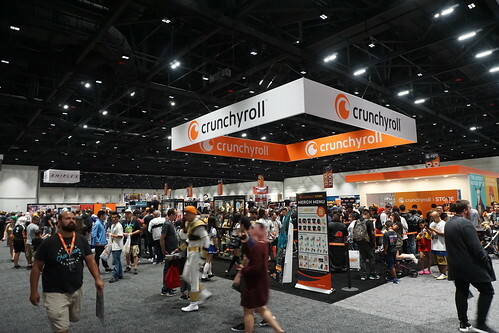 To bide my time I wandered the convention to see what was going on, and when I was done walking I gravitated back to the anime viewing rooms. 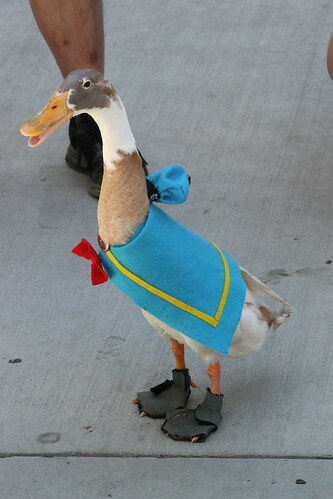 Every so often I would come out to check if there was some good cosplays around, but they were few and far between. I got a response to the FB post saying that indeed they needed help carpooling back to SF, and if I was willing to wait until 8pm for them. This was a stretch for me as I originally planned to stay until after closing ceremonies which would end at around 4pm. I decided to wait for them since I had no major plans afterwards, thinking that I could just lounge around the convention area until the time. 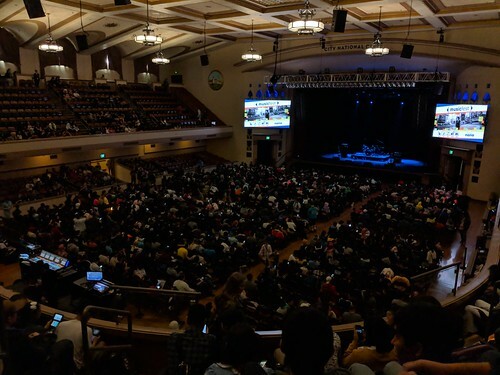 The closing ceremony started a little late but got underway, showing photo highlights, as well as having some guests of honor say a few things about their experience of this year’s FanimeCon. 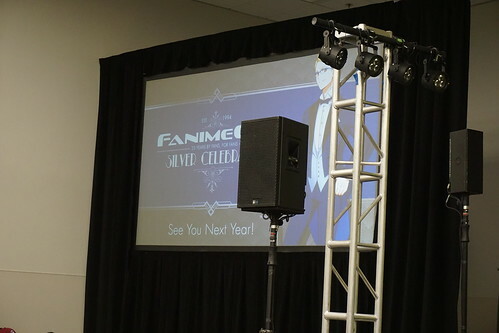 It ended with the announcement of next year’s theme for FanimeCon 2019: Silver Celebration, their 25th anniversary. 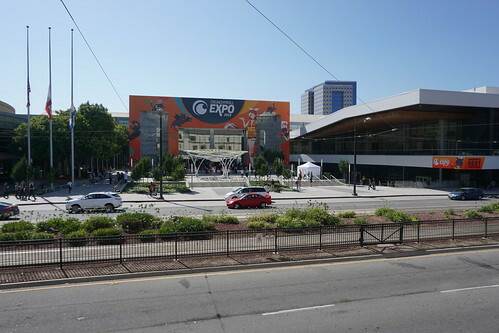 Afterwards I thought that I could loiter around the convention center for a while, but as cleanup was underway con security was ushering us attendees out of the premises. I did a little walk around the outside area, but eventually just went back to my car which was sitting in the hot sun all day. With the temperature in the 90s, I moved it to a place with shade and proceeded to wait out the few hour wait time by listening to music and thinking and writing my experience of the con that just ended. A few hours later I picked up my “stranger” passenger and we left for SF. We had a nice conversation throughout the drive and arrived home without issues by 10:30pm. 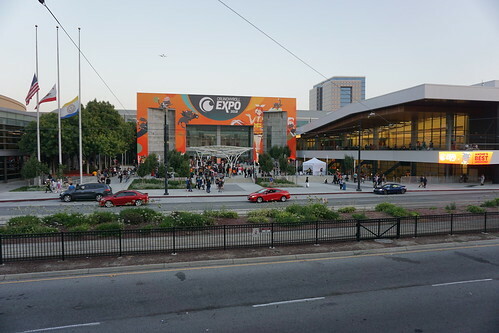 FanimeCon is my favorite con for a few reasons: For one it is local, so it’s easy to get to without worrying about accommodations. 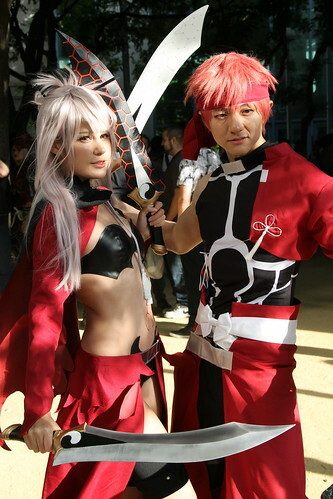 Secondly, the cosplay here is on point every time, comparable to what you see at Japan anime events like Comiket. The third is the community, just as others can say it feels like a family. Most of everyone here is friendly and helpful, but just like a real one it does have it’s flaws. I was actively checking and posting on FanimeCon’s Unofficial FB group, and I am impressed how positive community like we all are there. Security had a consistent presence all over the venue, and it’s a welcome thing in this day and age. They didn’t get in the way, but maintained the peace by being visible everywhere, even with guard dogs. Luckily I myself didn’t see any major trouble, but apparently things were going down on the night of the third day that involved a dozen of cop cars. These were things I saw through Facebook. If I haven’t made it obvious, I commuted every day from my home in SF to San Jose. I like driving and it only takes about 50 minutes or so to drive the distance. I encountered no traffic on my route to and from on all days. I also did not notice much of a police/CHP presence like I did last year when I got my speeding ticket. The only thing I have to worry about is the parking situation which I usually have down at this point. One thing I have to remember in the future is that Costco is closed on Memorial Day, so morning of Day 3 is when I should get gas, just a note to myself. I felt that the quality of my photos have improved from my previous events I’ve shot, for a couple of reasons: Better equipment and better camera settings. 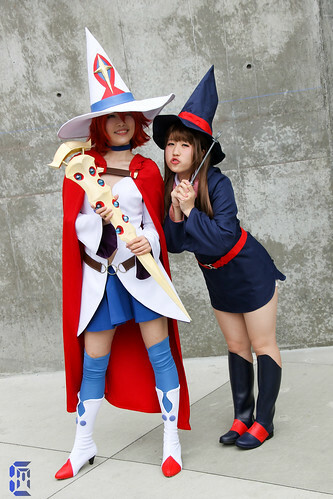 However that did not exactly translate into more photos as my approach to approaching cosplayers is still lacking. 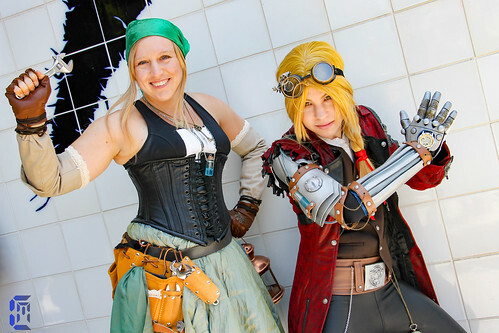 More and more are cosplayers taken by professional photographers, or are in groups of friends and acquaintances which can make it intimidating to ask. I know the worst that can happen is that they say no, and actually no one I’ve asked to take a photo of has said that to me. 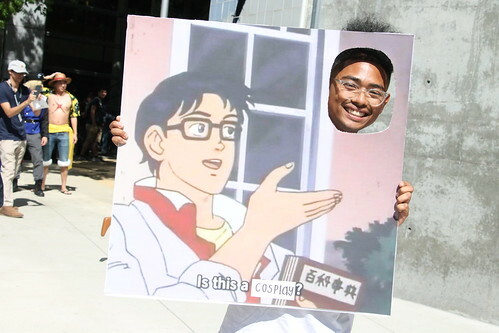 I tend to be a person who thinks about what is more convenient for others, and hence if I see a cosplayer that I’d like to take a photo of but looks like they aren’t in the best situation for it, I end up walking away. It’s a negative trait of mine I know, but it’s somewhat natural for a introvert like me. 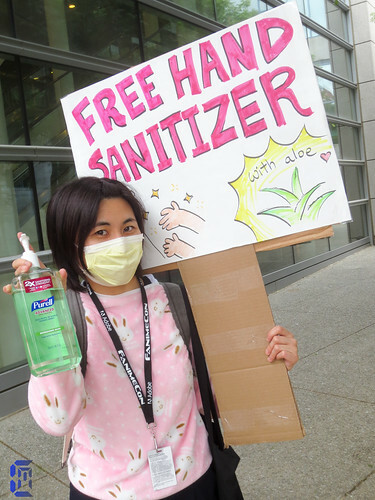 I’ve been an attendee of FanimeCon since 2011, that’s 8 years straight. When I go to cons I like to think of myself as the eyes and ears for people who aren’t at the event. 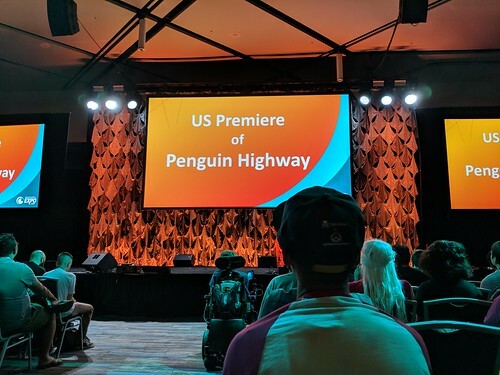 I want to show a little of everything to convey the event as a whole; that includes the setting (location), people and cosplayers, and spontaneous events. 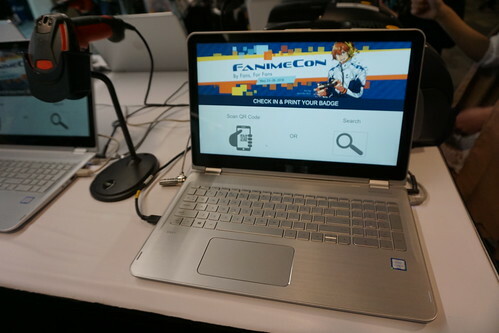 This is similar to the style of a blog I used to check on a regular basis, Danny Choo’s. 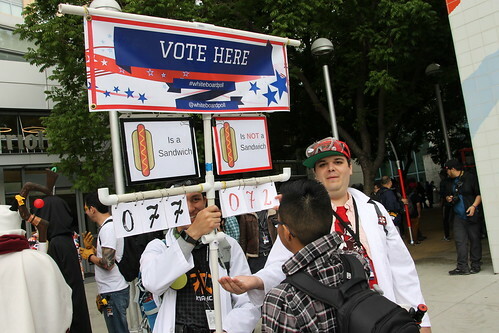 There was a time where my photo post of FanimeCon 2012 was shared by the man on his blog here, which made me quite happy. I’m starting to think though that I should try something a bit more productive. As I sometimes call my photography “freelance event photography”, I’m thinking of trying and move on up to Staff Photographer for the con. 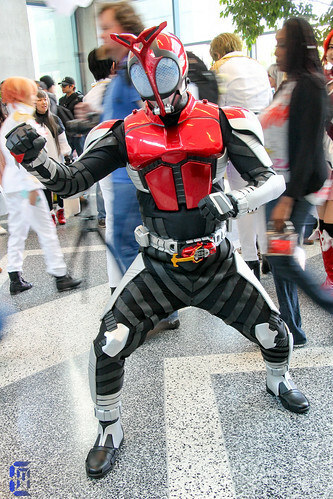 I’ve seen photos that the con puts out and I think that I can match or better their quality with my experience. I rarely do touchups with my photos mainly because I don’t have the skills yet to do it properly, so I rely on my photography skills to get the job done. Setting, lighting, composition are a few things that go through my mind when looking through my viewfinder of my camera, and when it all comes together it’s a great feeling. 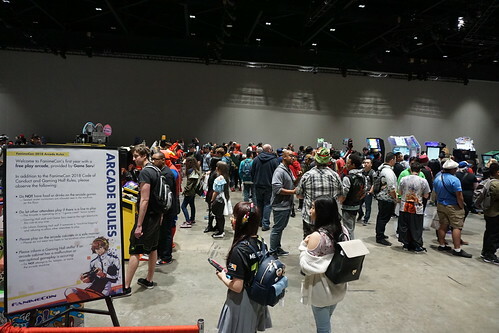 Being able to up my game by being an official part of the con feels like the right direction for me to go if I want to better myself in general, to be a bit more than a face in the crowd. I know that the drawbacks of doing this may restrict my style of event photography, being able to be everywhere at once. But the truth to the matter is I can never be everywhere. Anyways with the sheer amount of cameras everyone has, it’s nearly impossible to compete in trying to show unique content that others haven’t seen yet. 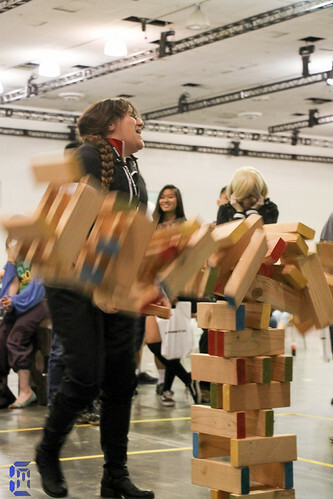 By trying out to become a FanimeCon Staff Photographer, I can meet new people and experience up. This is not something that I’ve decided for certain, but it’s definitely something I’ll be considering in the future. 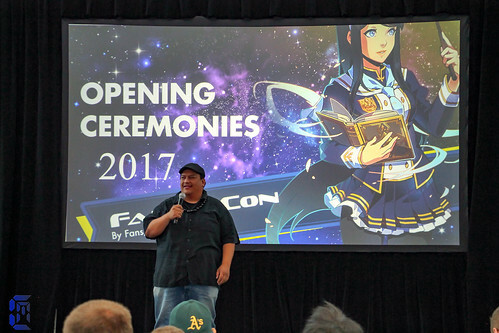 Overall, FanimeCon 2018 came and went without a notable hitch. 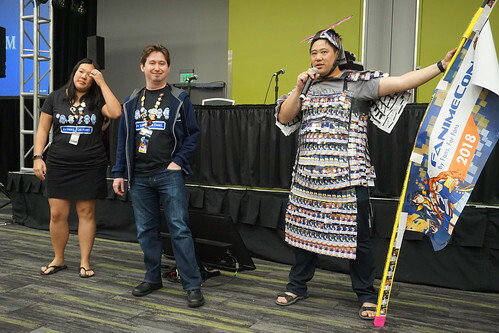 As for me, I mentioned that I had mixed feelings about my experience of this year’s con. Maybe it’s because there wasn’t a big hype over a couple recent select anime like what happens with shows like Sword Art Online or Attack on Titan. 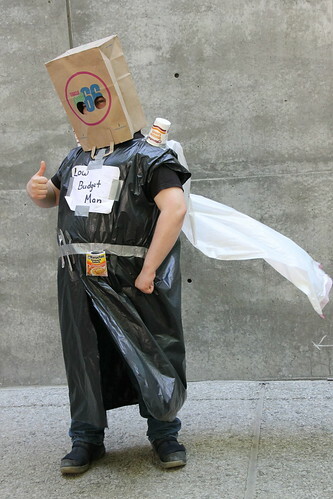 Yeah there was a lot of My Hero Academia cosplayers, but even then it wasn’t as big as it could have been like with how animes were a few years ago. I feel like currently anime is in a lull of big hit shows. My last personal favorite was Re:Creators, and even that wasn’t well known at all. Energy levels were medium level at best all around the con, with the exception of the Nano concert which was fantastic, a high point for any person who attended it. 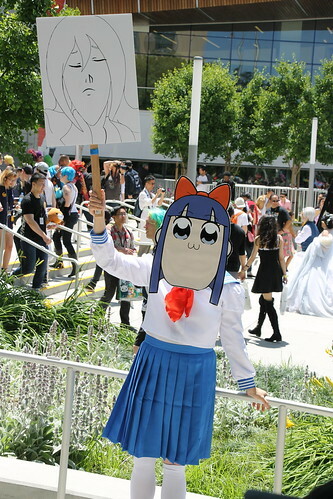 I’ll still be going to FanimeCon in the future years to come, but in what capacity no one can tell. 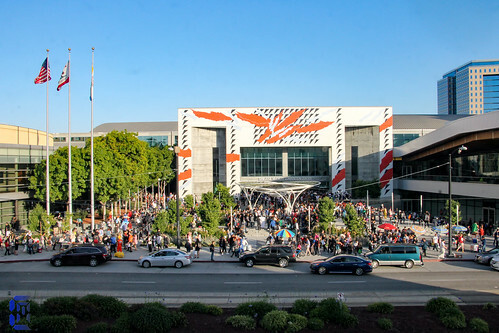 This year’s FanimeCon took place May 26th – 29th at the San Jose McEnery Convention Center. 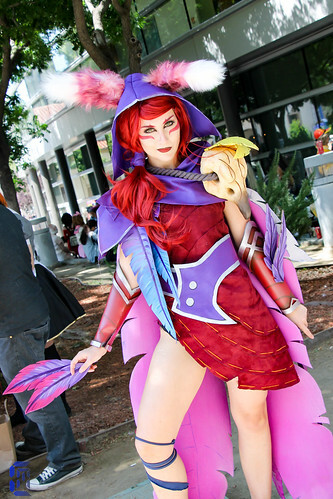 FanimeCon is an anime convention “by fans, for fans”. 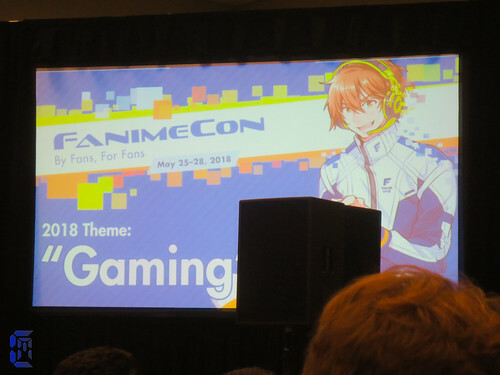 I’ve been attending this anime convention since 2011, and I do intend to attend it annually as long as I’m able to, as it is one of my favorite cons around. My first day started with me waking up at around 7am, a time I’ve been used to waking up to recently with the return of my seasonal retail work. I aimed to get to the con by 10am, and since it takes about an hour to drive down to San Jose I needed to leave the city no later than 9am. Because I also wanted to pick up a breakfast burrito at my local Safeway, that meant that I needed to leave my house earlier than that, at about 8:30am. 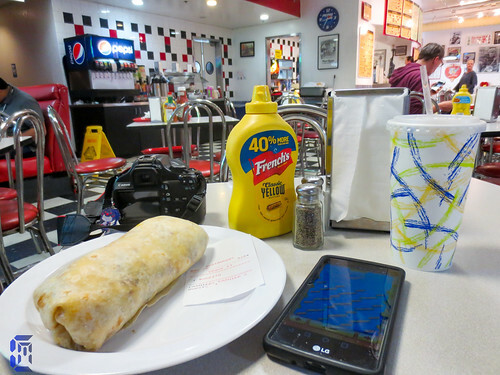 I ate some of the burrito before starting the drive down, and I got to say it wasn’t as good as it should of been. It was dry with the filling far in between. 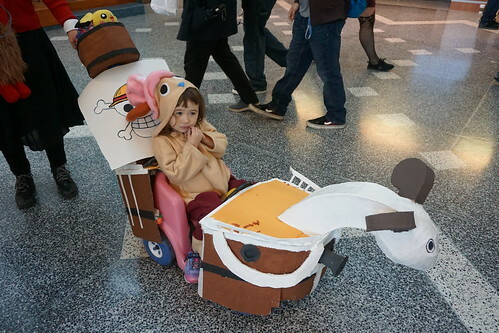 Alright enough about breakfast, let’s go to the con. 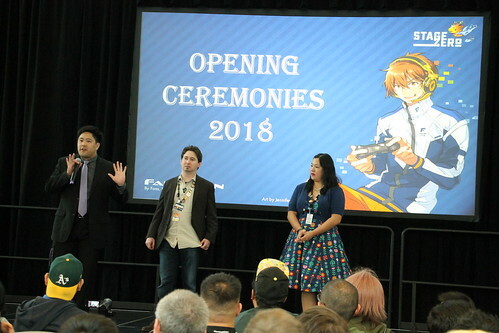 Opening Ceremonies started on time and kicked off the Fanime weekend by introducing the guests of honor, Black and White Ball, and Fanimaid. After the ceremony concluded, I checked out the Dealer’s Hall. 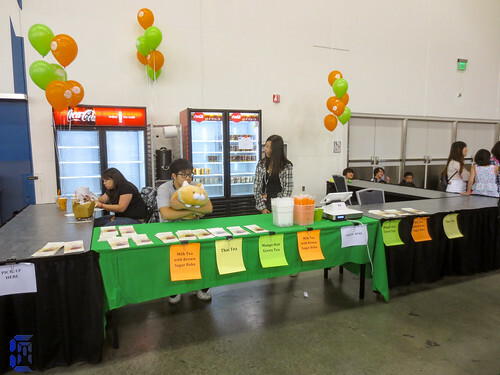 Besides the usual vendors of anime merchandise, towards the back corner were some food vendors. 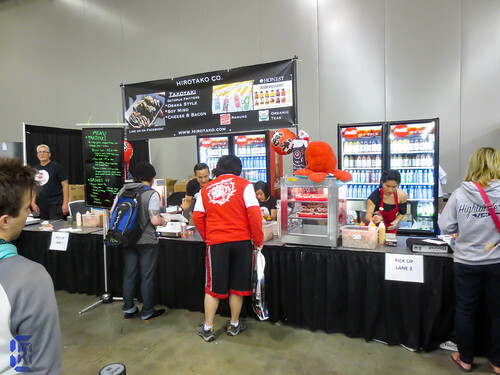 We had Hirotoko Co., a Takoyaki stand; JT Express, known for their Sushi Burritos and Spam Musubi; Super Cue, a Boba Tea place; and Psycho Donuts, a local specialty donuts shop know for their unique bakery bites. I left the con by 8:30pm to get home and rest for the next day, knowing that it will be much more busier than today. Day 2 started similarly to Day 1, getting up fairly early to plan to get to the con by 10am. Had to stop by a Costco Gas Station on the way to refuel though, cheapest gas you’ll ever find around here. I planned to check out three scheduled events today: The NieR:Automata cosplay gathering at 3pm, MusicFest at 7pm, and The Best of the Angry Video Game Nerd video screening at 10:00pm. Between the times I was just wandering around and taking pictures. I ended up not going to the NieR gathering, partly because it was in an area that tends to get hot and is a bit out of the way, but more so because I got lazy to go. As for MusicFest, I already knew that based on experience, there was no need to line up for it prior to the venue’s opening and just wait it out. Even though the line stretched almost around the entire block, when I got into the City National Civic it wasn’t remotely full at all. I didn’t stay for long though, as all I wanted from coming here was photo ops. I would of stayed for part of the performance at least had they not banned the use of professional grade cameras; they only allowed use of cell phone cameras. I got this one shot of the stage right before an usher told me I couldn’t use it, that’s when I left shortly after. I went out to shoot some more as the daylight dimmed. 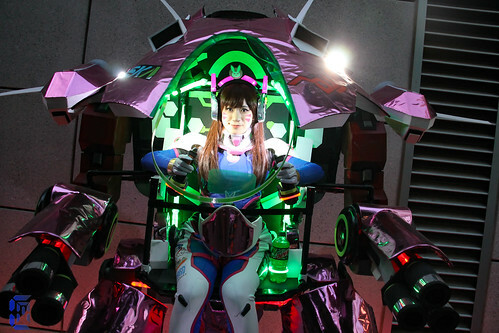 I had a great opportunity during this time to photograph a D.Va cosplayer in the most amazingly built D.Va mech prop, complete with lights all over. 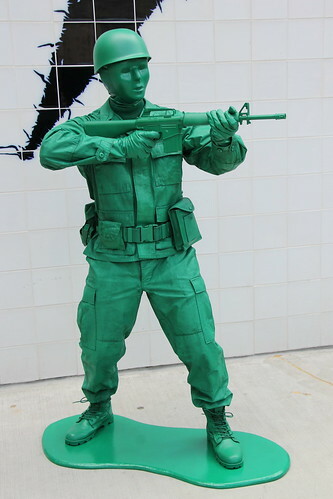 I heard from the creator of the suit that he will bring it to BlizzCon and retire it afterwards. 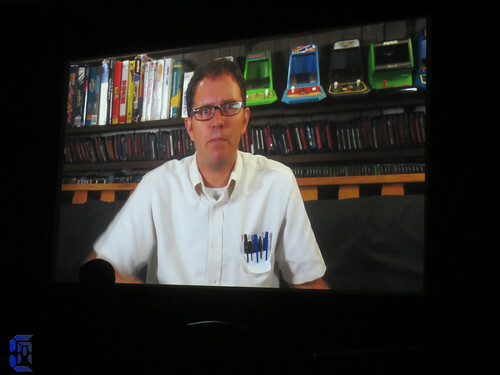 I went to the AVGN screening after 10pm, but left earlier than planned at around 11:30pm to avoid a second parking charge after midnight. Once I got home I didn’t do much before going to sleep. 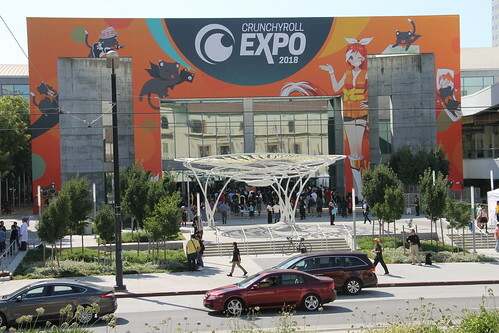 I got to the Fanime area quite early on Day 3, parking at a different parking garage than the last two days because I could get free parking by validation if I eat at the local diner Peggy Sue’s and park in the adjacent parking structure. 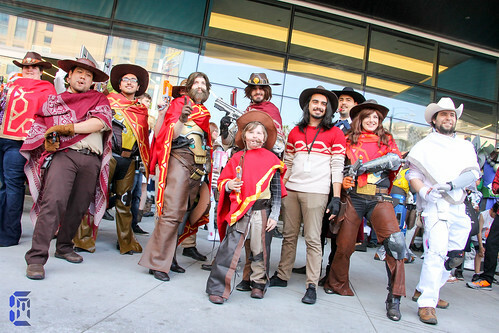 Today I planned to go to the Overwatch cosplay gathering at 12PM (High Noon), which I knew was going to be a big one based on the fact that Overwatch cosplay dominated this year’s cosplayers because of it being the first full year of the game being out. 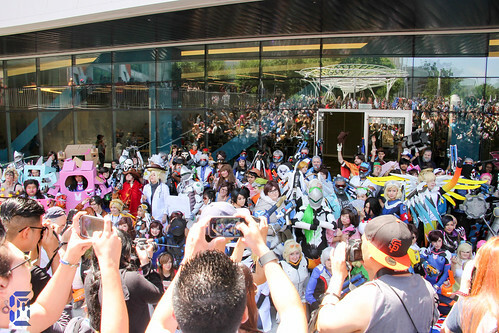 The Overwatch gathering was massive, being the biggest cosplay gathering out of all of them this year at FanimeCon. It was hard to get any good shots of the cosplayers without having someone blocking my view with either their head or camera. For the most part I just shot what I could, trying to either focus shots on the interesting/unique or doing piece by piece panoramic photos. 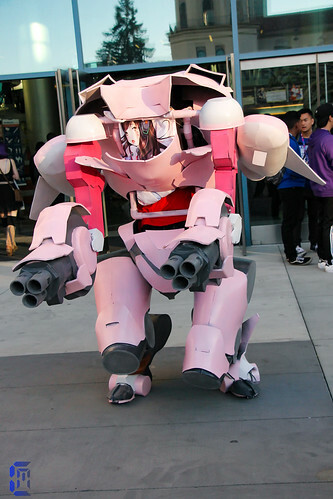 The D.Va mech from yesterday didn’t make an appearance, but it was understandable with how crazy the crowds were. Time was also limited for the gathering which made it hard to give all the OW cosplayers a photo op. 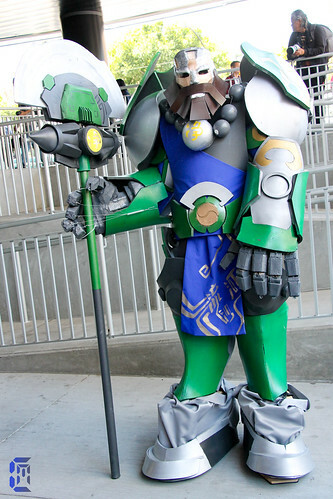 There was a great Reinhardt Wujing (Chinese Lunar New Year skin) cosplay that didn’t get the limelight it deserved, probably due to time constraints. I was able to move up to the front towards the end of the gathering, so I got some better shots then. 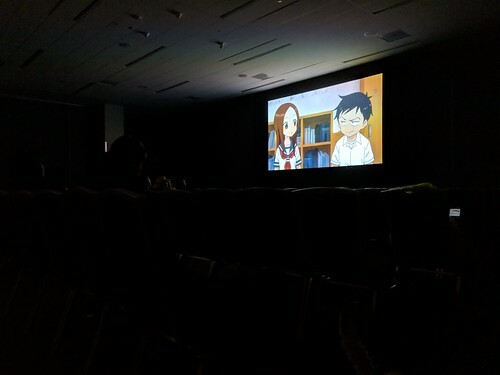 After sticking around the con for photos and watching some anime in the viewing rooms, I left fairly early at about 7:30pm, as things were wrapping down for the night. This would give me more time to work on some Fanime stuff at home and rest up as well for the final day ahead. 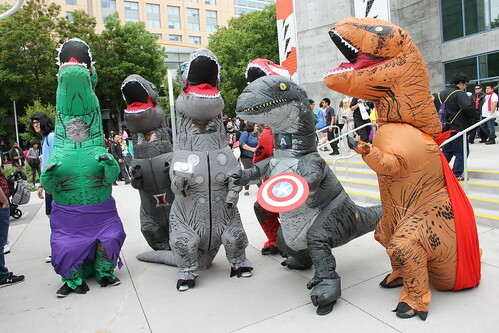 On this last day of the con, a couple of my friends planned to tag along. 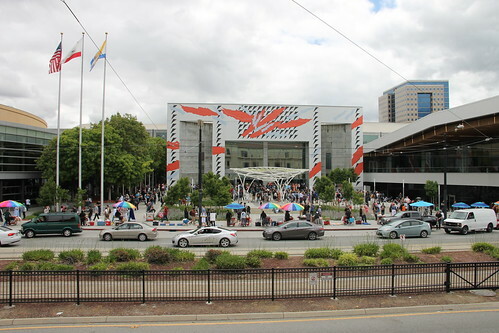 Not to go to the con but rather enjoy the museums and other sights around the downtown San Jose area. 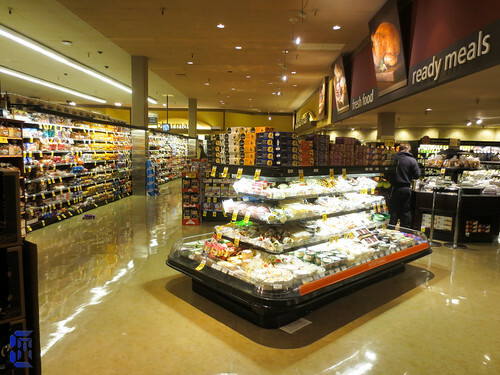 We met up at around 9:30am, stopped by Safeway to grab some food (not me though), and left to try and arrive at Fanime by 11am. That was the plan, but on the way there I was driving quite fast to get the attention of the CHP (California Highway Patrol). I got myself my first speeding ticket, and I wasn’t even listening to the Eurobeat music I had just recently added to my iPod Touch…. 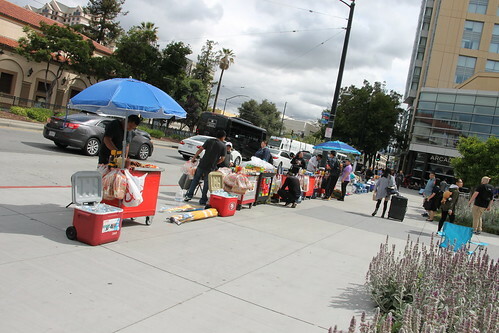 We got to the Fanime area just before 11:30am, and me and friends split from there. I walked around a bit with the recent event in mind. I wasn’t really scared or nervous about it, but I can’t say it didn’t weigh on my mind either. I told myself that this was a learning experience for me and that I’ll get through it one way or another. I just wish that it didn’t happen on the one day I had others with me in the car, how embarrassing. Day 4 was more or less quite dead compared to the previous days, but in hindsight that’s how it always is. 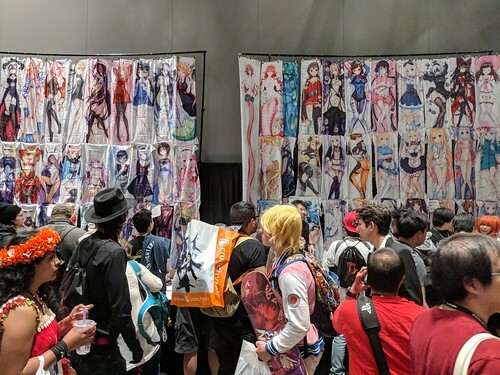 For the majority of the time I just tried to relax at the anime viewing rooms, while coming out every so often to see what was going on in the cosplay scene. 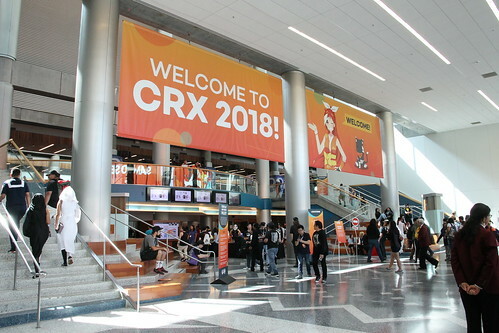 I was planning to stay until Closing Ceremonies at 3pm, so I had a few hours to kill just cycling around the front area of the convention center. At 2:30pm I decided to see if the line was forming for Closing Ceremony and it was. 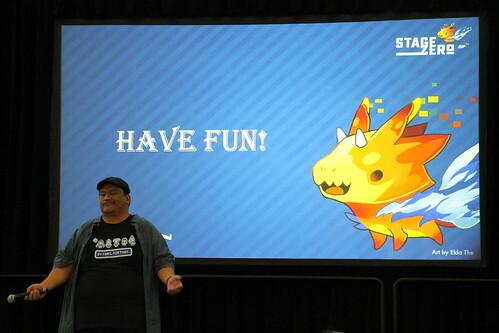 Once 3pm came and past a bit, one of the people in line ahead of me starting complaining about it not starting yet, with the person next to me mentioning how Fanime Closing Ceremonies never start on time, which is somewhat true but never hurt my experience of it. It wasn’t too long until we were finally allowed to enter the room and sit. 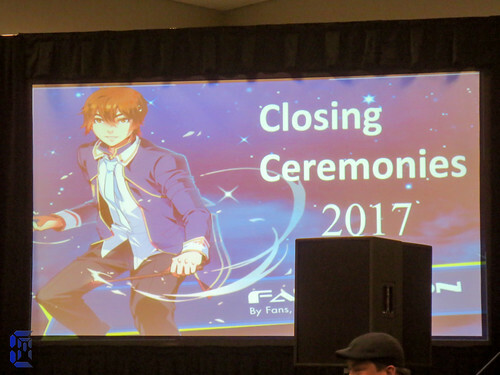 By 3:20pm the ceremony started, where guests of honor who were still around talked about their experience of this year’s con and were presented with a special shiny poster version of the Fanime front program artwork. 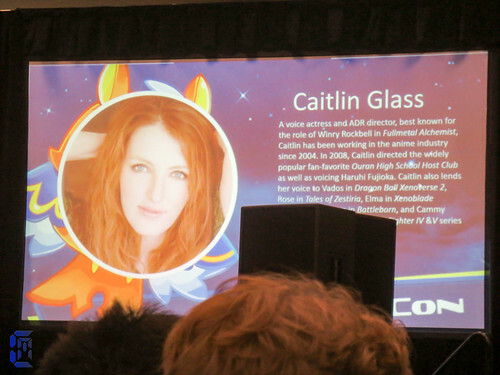 Fanime also announced the theme for next year’s con: “Gaming”, as well as the first guest of honor for FanimeCon 2018: Caitlin Glass. 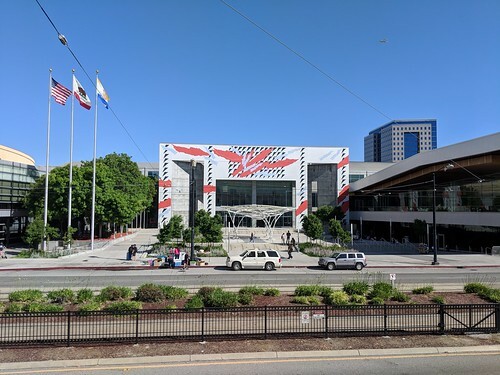 At 4pm I met up with my friends at my car and we left the convention center to try out a sushi place called Kula Revolving Sushi Bar in nearby Cupertino. The wait was quite long, over an hour for us to get a seat. One of the cool things I have not seen a restaurant do that this place did was how you sign in for a wait time. There’s a tablet near the front door where you put your name and cell phone number. You get a text that sends you a link that tells you in real time approximate waiting time and how many parties are ahead of you. 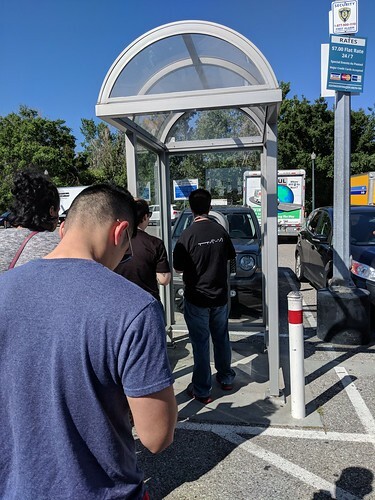 As there’s a mall nearby, you could go walking around there or wait in your car instead of waiting around the front door of the place if you wanted to. We decided just to sit nearby as many others were and we were thinking the wait could be shorter than what was estimated (48 min). Kula Sushi is similar to your other sushi boat places, but there’s a few things that made this place unique for me. 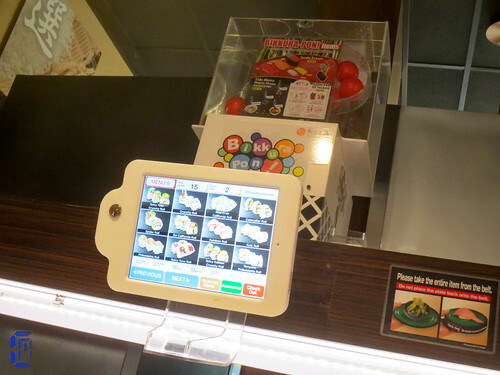 First was that besides your usual sushi conveyor belt system, there was a second separate belt that was used for bringing separate orders made on a touch screen to specific customers. On the touch screen you could order stuff that also is part of the sushi conveyor belt if you wanted it fresh or if you had a hard time getting them from the regular belt because it was always empty. There was also exclusive menu items on their as well that were not part of the regular like ramen and desserts. 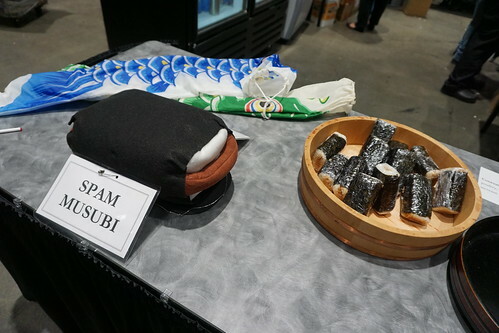 The food was really good, though I’m not sure if being hungry from the con made it taste better? Either way, I enjoyed all the food there. Another thing that seems unique to this place was that there is a slot to put your empty plates. 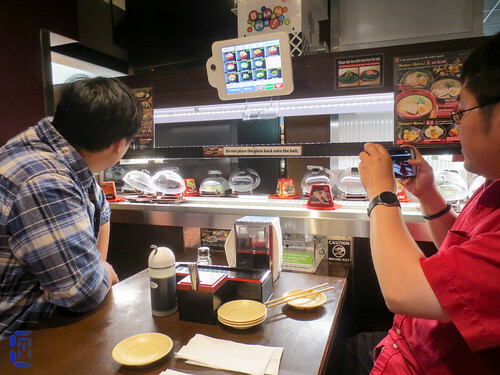 The screen would count how many plates, and every 15 would get you a prize from a gachapon machine directly above and behind the screen. We had at least 30 plates, so we got a couple prizes like stickers and a ramen keychain that attached to your phone via headphone jack. After an enjoyable lunch/dinner, we headed back home. I dropped off my friends at their houses and got home by around 7:30pm. 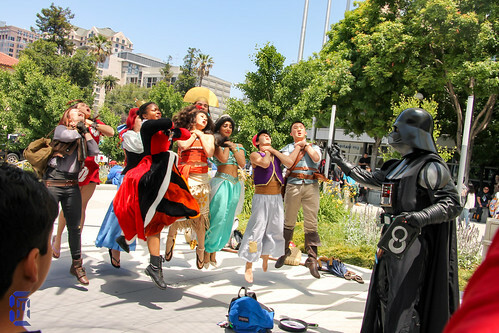 FanimeCon this year was more or less enjoyable. Most of my plans went as expected. I did feel that this year was a little underwhelming, but that’s probably because there hasn’t been an anime that recently defined the fandom. 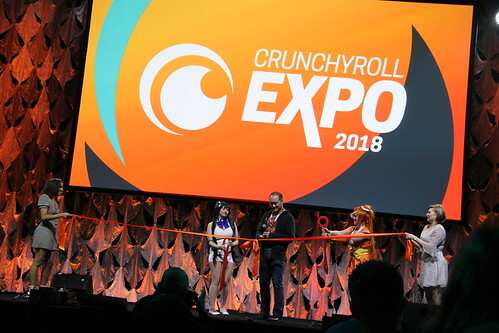 Just like how in previous years you would find tons of either SAO or AOT cosplay, this year was more or less defined by Overwatch, and it’s not even an anime. 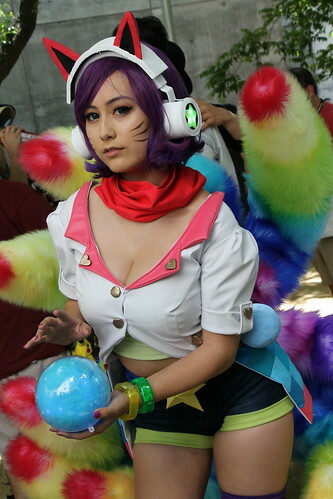 Maybe that’s why Fanime decided next year’s theme to be gaming based on the rise in popularity in cosplay from said genre. During my drive back home on Day 3, I became inspired to strive to better myself in terms of photography. One thing that has stayed the same for the past several years was how I did my photography. It was quite basic, and while I do not think of myself as a cosplay photographer, I’d like to be able to do many forms of photography in a skilled way. I’m never fully satisfied with my photos, and I think that is a good thing. It keeps me from going into a comfort zone, keeps me on my feet, to keep moving forward and want to try new things. Besides improving my skills, my camera equipment also needs tuning up and upgrading. I’m noticing dust on my DSLR’s camera sensor, and I have never done major maintenance on it since I got the camera years ago. Lighting is another issue I need to address, as it can make or break a shot. I’m always at the mercy of natural lighting, and I’ll never depend on the built in flash on my camera as it gives the worst results. 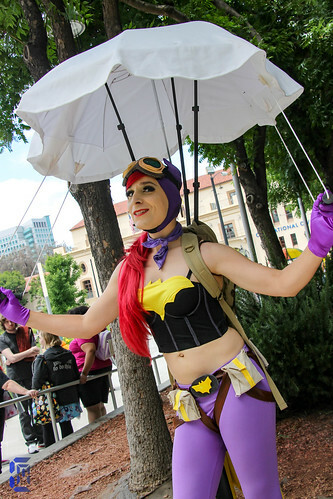 That’s why I’m noticing much more people bringing in their light stands and umbrellas at cons like these. Fanime has the benefit of having very nice natural lighting at the major areas near and in the front of the con center, but that’s also a limitation as many people tend to flock there as well, making it hard to take shots, especially if it looks like another pro photographer is set up there. I’m going to probably look into camera flash systems and get myself some reflectors as well. 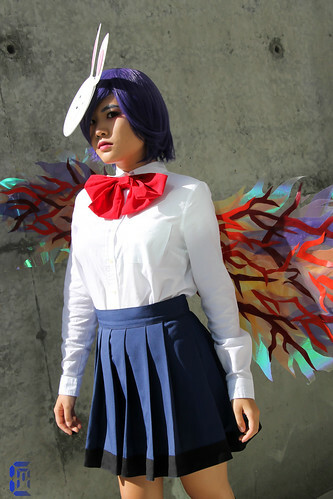 I’ll set myself up to improve my photography for next year’s FanimeCon.